Kindan is a young boy living with his father and older brothers at Camp Natalon, a small mining community. His life is turned upside down when an explosion in the mine kills his family and he is given to the new Harper as a ward. Things start going well for Kindan again, as dreams of becoming a Harper fill his mind. Those dreams are cut off abruptly as the miners start demanding a new watch-wher- a cousin of the dragon that helps in the mines, sensing for stale air and digging miners out after a cave in. Kindan's father was the camp's watch-wher trainer until they were both killed in the explosion. Kindan is now chosen to raise the next watch-wher. 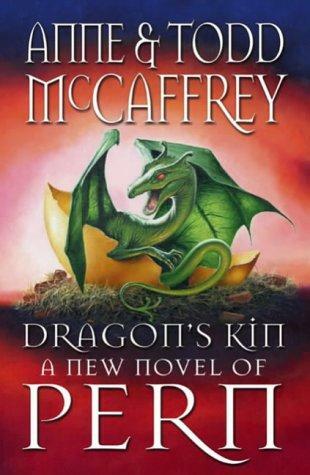 This book was given to me to read by a friend after I mentioned that I could never get into any of Anne McCaffrey's books. I was told this one was different and I would like it. After the first chapter I knew I hated it and yet I kept right on reading for some odd reason. Usually when I don't like a book the only reason I continue reading it is if there is one character I like and I want to know what happens to him/her. In this book there was not one single character that was remotely interesting or enjoyable to read. I think the only reason I didn't stop reading it was that my friend told me it was good and I thought maybe the ending would make up for the crap that was the first three quarters of the book, but sadly, no. There was nothing even the slightest bit interesting; the characters were all flat and boring and there was no reasoning behind anything. There was no reason for Nuella to be hidden, there was no reason why the main 'villain' did what he did, there was no reason for the ridiculous twist at the end. The book didn't flow properly, it was choppy and it was like there was no emotion behind it. The whole book was like 'this happened and then that happened and then this couldn't happen but there's a plan b so it did happen' it was all so blah! Worst of all, the authors had this "fascination" with "quotation marks" that was extremely "annoying" to the point of "ridiculousness". My friend said she would lend me the next book in the series, but there is no way I could sit through a second book as dull and irrelevant as the one I just finished.